Since I'm always supportive of a good cause, I was excited to learn about the Clarins and FEED launch of this year’s National Million Meal Mission. This collaboration aims to provide 1,200,000 meals to children around the world in 17 days – It started on April 22, 2016 and ending on May 8, 2016. 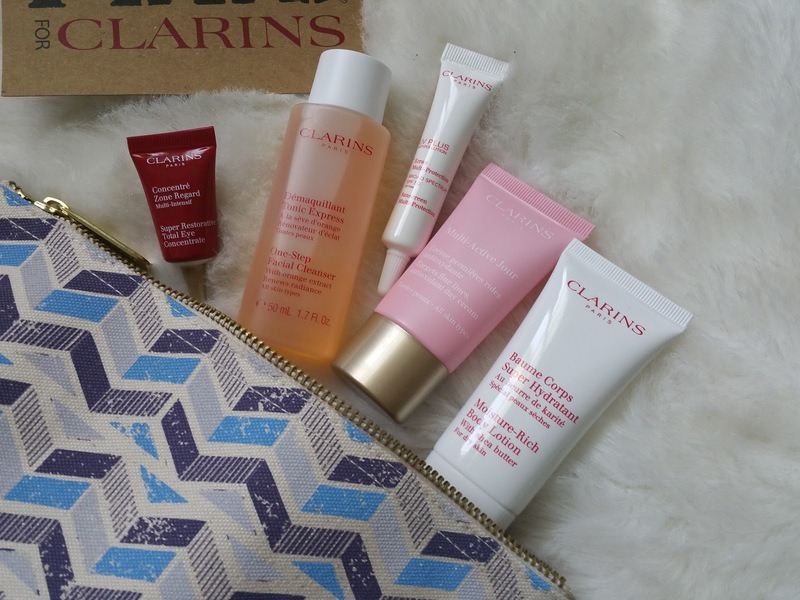 Nine retailers across the country will be offering a FEED 10 pouch filled with deluxe Clarins products. Each pouch provides 10 meals to children, helping them grow, learn, and thrive – an investment in their futures. For many children around the world, hunger is not only a daily struggle, it is life threatening. School meals offer hope. Since 2011, FEED and Clarins have provided over 10 million meals to children around the world. Through this year’s National Million Meal Mission, FEED and Clarins hope to make the world a better place for present and future generations, one meal at a time. Inside each pouch which comes in two styles, are perfect travel size products! This pouch included the following: Multi-Active Day Cream, One-Step Facial Cleanser, UV Plus Anti-Pollution Sunscreen, Moisture Rich Body Lotion, Double Serum, Super Restorative Eye Concentrate.